Carol Northrup is the Exponential Talent LLC Communications and Administration Specialist. 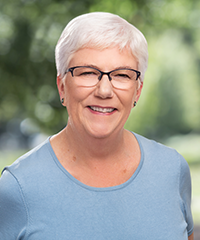 She brings to the company 30-plus years of experience, primarily in the public sector, as a communicator, strategic advisor, employee and community advocate, and executive decision-maker. Previously, Carol served the people of the State of California as an employee in the Cal/EPA Department of Toxic Substances Control. Carol was among a handful who built what became the premier government public involvement program in the country. She organized and facilitated hundreds of public meetings and hearings about controversial environmental permitting and cleanup activities. During the second half of her 23 years with the state, Carol served in two career executive assignments: first as the Regional Coodinator, identifying and resolving human and process issues; then as the Assistant Director, where she directly managed key Executive Office direct report units, prepared written communiqués to the Agency and Governor’s offices, and was the Director’s ghostwriter for all-staff messages. Carol began her career as a commissioned U.S. Air Force Public Affairs Officer. For seven out of her nine years of service, she managed public affairs offices for major installations in Montana and Kansas, and for the Air Force Operational Test & Evaluation Center, headquartered in New Mexico. During her Air Force career, she was a leading expert in handling public affairs activities around nuclear weapons incidents (later lecturing at the Defense Senior Office Nuclear Weapons School) and other crises ranging from alleged espionage to Senate and investigative reporter scrutiny. Carol has a bachelor’s degree in cultural anthropology from Colorado State University and is accredited by the Public Relations Society of America.